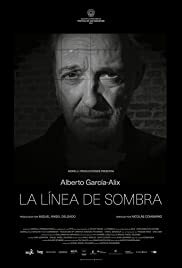 Documentary about one of the most important Spanish photographers. An intimate conversation with the artist, where we can see the lights and shadows of his life, many of his photos and also discover the process of creating his work. A young boy searches a small fishing village for his parents from a past life. This is not the typical documentary about the life & work of a great photographer. Sure, many aspects of his life are well explained by himself, and also his work is shown in a splendid way, filling the whole screen on a gorgeous, sumptuous black and white. But don't expect any encyclopedic approach to García-Alix works. Fortunately. This documentary talks about life in itself. The photographer talks about small joys, great losses, grief... with a huge amount of sincerity, opening his heart in a poignant way. No tricks here, none at all, only a sincere labour of love from the part of the director. This is the kind of stuff good documentaries are made of. This, I believe it. And despite the fact that almost all the cinema was full (Kursaal Cinema, 65th San Sebastian International Film Festival) being this a collective experience, I feel as a viewer that the documentary was only addressed to me. I'm sure that the same happened to many, many viewers. Great artifact, a wonderful showroom for García-Alix's great work and also an in-depth view of his life. There's darkness, of course, but thanks to the light.